Wood Chopping Blocks Are Built to Last. They're Great for Cooking and Stay Great Looking. 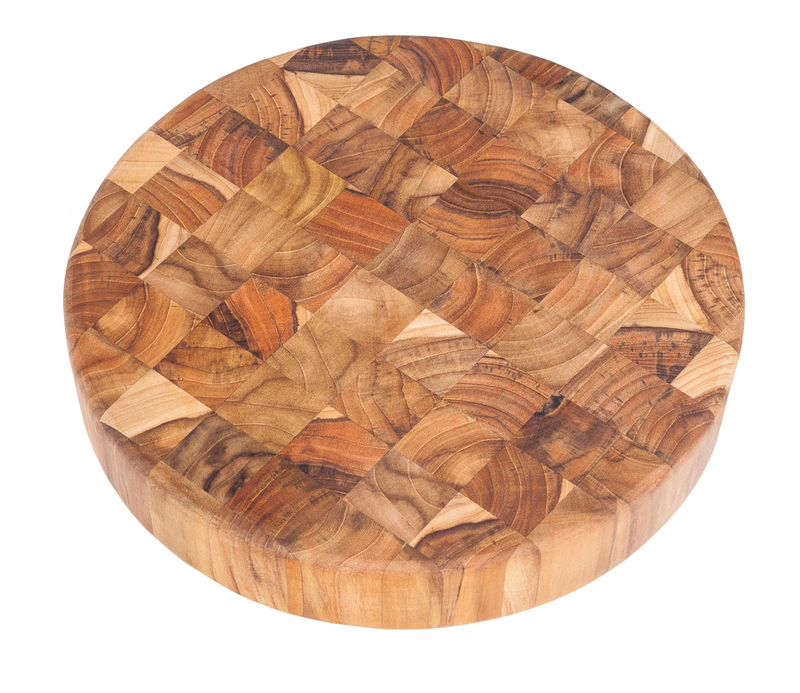 A 3-inch-thick, end-grain wood chopping block for example, is simply a collection of 3-inch pieces of wood standing on their ends, abutting one another, glued and pressed together under high heat. 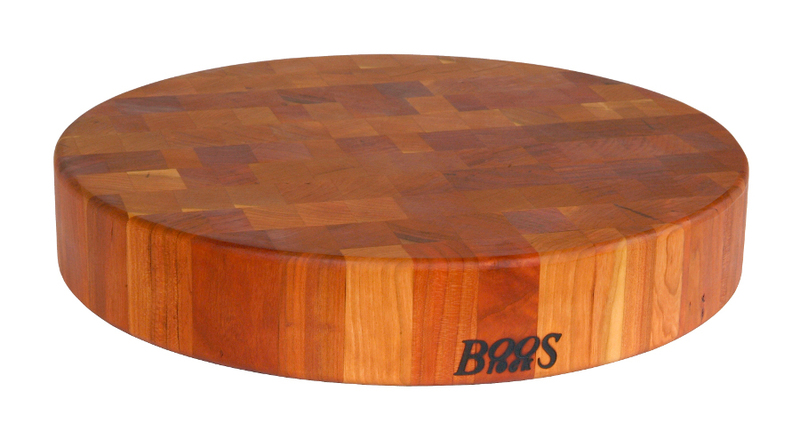 Consequently, the surface of the chopping block is comprised of cut ends of all those wood pieces. These fibrous ends impart important advantages. Think of the wood fibers you see when you look at the cut end of a piece of wood that has been sawed. Now imagine an entire cutting surface comprised of such wood fibers - thousands of them. Those fibers are resilient but forgiving; able to absorb blows from butchers’ knives without suffering serious damage. At the same time and for the same reason, these fibrous surfaces are easier on knives. 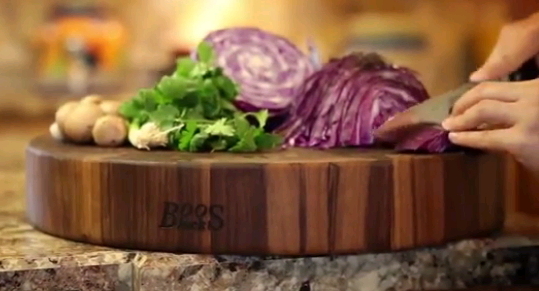 You can use your sharpest and heaviest knives on chopping blocks without fear of dulling them quickly. 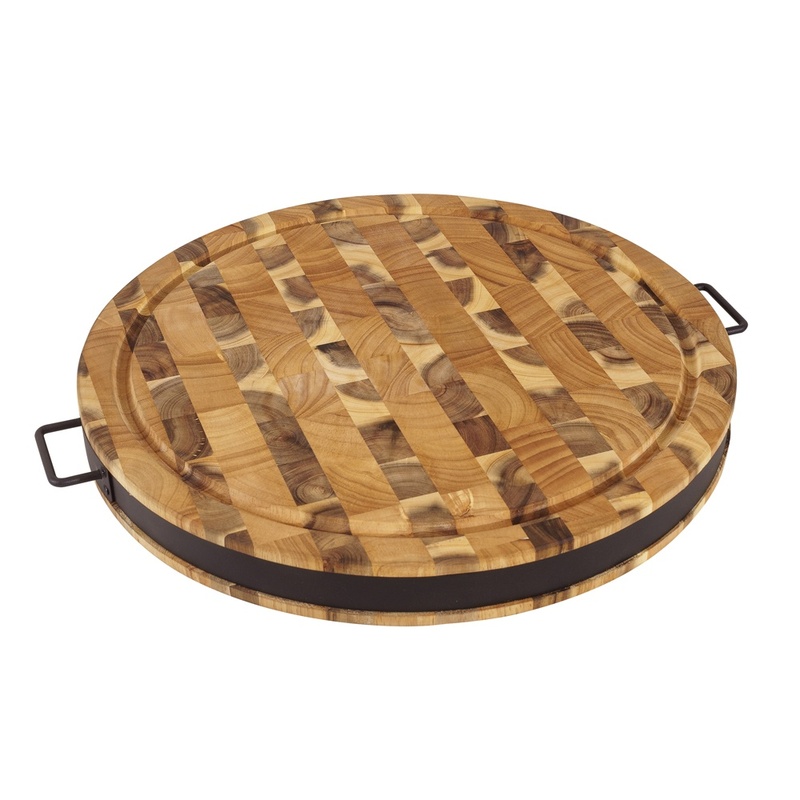 It’s important to frequently clean and sanitize wood chopping boards. Soapy, hot water will do the trick, but never submerge your board in water and be sure to rinse and dry it thoroughly. Use white vinegar to clean and disinfect your board. Although they’re durable, wood chopping blocks will require some simple, occasional maintenance. 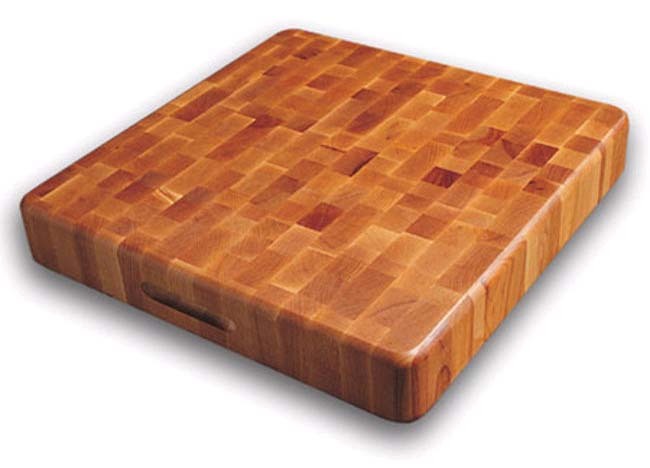 To preserve your board, apply butcher block oil or mineral oil to all surfaces about once a month. Oil seals the pores of the wood, helping prevent it from drying out and developing cracks. Using a soft cloth, apply the oil in the direction of the grain of the wood. Allow time for the oil to soak into the wood, then use a clean, dry cloth to soak up any residual oil. These tough but great-looking chopping boards and blocks are a subset of our complete line of cutting boards & blocks, which you might well want to check out before making a purchase decision.